It is a breathtaking, truly beautiful battle, and those of us who are at the front line of it, by making films, writing for or speaking on the airwaves of the anti-imperialist networks, are thoroughly determined to give our very best, and if necessary, even to risk our lives! Mighty new television networks based in South America, Russia, China and Iran are locked in what could only be described as an epic battle against the omnipresent Western propaganda and indoctrination networks. Some of us went very close to death, in the toughest slums of Africa, Asia and Latin America, or at the battlefields, at the corners of the world where almost no one really dares to go. We confronted the Empire. Some made that one extra step, crossed the invisible line, and fell; never came back. Others managed to return, just to be spat at by those who never left the couch, for not going “all the way”, for surviving, for somehow managing not to die. Because much was already done, plenty was sacrificed! I just left South America, departed from my beloved continent, a continent I am fighting for, whose revolutions are also mine. And while, this time, I worked really feverishly in Ecuador, Brazil, and Paraguay and briefly in Argentina and Mexico, I realized that here, of all the places, we – our media – are not yet managing to influence the people as much we hoped to. How little of RT, PressTV, CCTV, even teleSUR reaches ordinary people! Almost entire cable and satellite distribution is in the hands of the right-wing ‘opposition’. Even in Correa’s Ecuador, I hardly stumbled over those channels! English language news coverage has been fully abandoned to the CNN and FOX! And this was the case in all hotels where I had stayed. Not surprisingly, I encountered identical situation in Paraguay, and also, shockingly, in Brazil, which is one of the leading BRICS countries. Right-wing O Globo is literally everywhere, and the left-wing television and radio stations are far in between. The English language coverage is reduced to CNN and FOX, wherever I stayed: Sao Paulo, Manaus, Belem, Recife, Fortaleza and Salvador Bahia. No teleSUR in the major hotels where I stayed, and no RT! To make it worse, hotel managers that I summoned, had no idea what I was talking about. RT? CCTV? PressTV? I had to spell, write it down and explain what they are. Their programs can be seen all over the globe, and they have been dramatically changing the lives of millions in Africa, Latin America and the Middle East, even in some hubs of the Empire itself, like New York and London. Lies of colonialist and imperialist demagoguery are painstakingly challenged. Those who used to be voiceless are now being clearly heard. 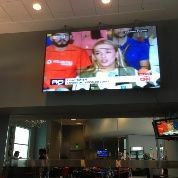 When I was transiting at Lima’s Jorge Chavez airport, CNN en Español was beaming support coverage for some of Venezuela’s ‘opposition’ hunger strikers. I went all the way – I summoned the airport’s top managers and accused them of committing a hostile act against Venezuela, by promoting right-wing US sponsored attempts to overthrow a democratically elected government in South American country. I managed to scare them. They apologized (although I felt that they were totally confused; no idea what I was talking about). They changed the channel immediately – to FOX Sport! We had brief conversation about RT (they had no clue what it is either), about the CCTV (close circuit cameras?) and the PressTV (“press” sounded familiar to them). I demanded that they beam teleSUR from all screens placed in public areas. They replied that they would like to, but it is not part of their basic cable package! One of them asked whether it comes from Patagonia? Of course we all know what is going on. We heard it thousands of times, and we wrote about it again and again: the Latin American revolutions are being undermined by the ‘elites’ and by their toxic pro-Western, right wing media. It has been happening in Venezuela since the beginning, and in Ecuador and Bolivia, but also in Brazil, Chile and Argentina. The result is that the people in our revolutionary countries know close to nothing about our own allies, including Russia, China, the rest of South America and Iran. And what they know is exactly that propaganda, which is being spread by the Western media, all over the world. Almost all local newspapers are relying on EFE, Reuters, AFP, AP and other manufacturers of Western “exceptionalist” narrative. The voice of BRICS is almost not heard at all, all over Latin America. It is extremely alarming! And even when the information gets through, on the Internet, through blogs of the RT and teleSUR, the sites are not coordinated effectively, and as a result; well-organized and well-paid troll commenters are heavily infesting them. We need our people to hear about China from the Chinese people, not from the Western propaganda media. We need Russians to explain themselves, now that they are battling ha eavy onslaught of Western imperialism. We need Iran to speak to our viewers about the Middle East and Islam, and we need South Africans to tell us about tremendous bloodshed that is taking place all over the African continent, under appalling boots of the Western neo-colonialists! Instead, it is again the West, telling us what to think about the world! And even from the left: Latin American intellectuals still trust much more some defunct pseudo left wing personalities in Spain or the United States, then their Chinese, Russian, Iranian or African comrades! Cuba is most likely an exception. We need our allies to speak! Not those who want to divide and rule, not those who were colonizing and ravishing entire planet for many centuries. Not those who abandoned battles without real fight. teleSUR is doing enormous work, explaining Latin America to the world, and broadcasting wherever it can, for the people all over Latin America. But much more has to be done! Big fraternal media should be promoted. It is huge; it is fun, and high quality. RT is lately eclipsing some Western propaganda channels like BBC and CNN even from major the cities of the Empire. PressTV is competing successfully with the big-Gulf-buck al-Jazeera. CCTV has more viewers than Japanese NHK. I can watch teleSUR in Lebanon, so why not in Brazil! El Mercurio had formed its alliance with Comercio and others like them. So if El Mercurio can do it, why not teleSUR, RT, PressTV and others? Let us all protest, let us demand! If one person a day asks at Quito airport for teleSUR, they will not listen. If ten were demanding, they would have to comply. The same with the hotels! Everyone who reads this essay: people, whenever you stay in any hotel in Latin America, which does not carry teleSUR on its “menu”, which does not “play” with RT, PressTV, CCTV, be a pest; demand! Nag, nag, and nag! Otherwise, we will never win this battle, this ideological combat. Otherwise, nothing will really change! We will have progressive governments, sure (at least for some time) but people will continue to be brainwashed by the Western imperialist propaganda (and so called “education”)! Latin Americans will be told how to perceive their own continent. Westerners will continue telling Chinese people how to judge their own country. The world will be told lies about Russia, and even some Russian people will begin believing them. Help our media to compete! Let us tell our own stories. We don’t need someone in London or New York to define who we are! 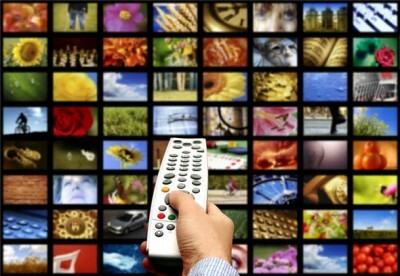 Our television channels are now much better than those produced in the West. Those who see them; those who have opportunity to see them, love them! The only obstacle is that ridiculous ‘deficit’ created by the ‘elites’, through the distribution. And we will continue risking our lives, working day and night, in order to give you our best, dear viewers. But please, please watch us! Insist that our voices, not just those of the Empire, are truly heard heart, “at home” and all over the world!